One important guest was staying in one of the houseboats of Haji Khalik. King RathinderSingh from Ranthambhore not only belongs to the Royal Dynasty, but also the one who is keen for discipline and cleanliness. That is why Haji was giving instructions to Razak to take care while serving him. Khalik instructs him to make sure about the arrangement of the stuff in the trey should be perfect. He also informs Razak to make sure to be in front of the guest only in the uniform and it must be perfectly clean. Haji also advise that such guest doesn’t like interference and/or eavesdropping at all. So Razak needs to appear at his place only when he is called or expected. The basic lessons of the hospitality are simple and effective right!! And the way Haji convey the same, is simple too. It looks like a father guiding or teaching his son the stuff. Haji’s wife then ask him to think about Parveen’s marriage. Haji who is hoping to have a good season was thinking to arrange some good amount of money for Parveen’s marriage. So he asked his wife to discuss the stuff after being ready for the expense of the marriage of their daughter. Parveen who was watering the plants in the garden was teased by her brother. All of a sudden Haji hears some noise and he see a few locales were arguing with each other. After a while Haji decided to meet them and resolve the matter. His eldest son accompanied him. He gotta to know that it is a dispute between two neighbors who both were dumping the land into the water. This way they both were expanding their farms. However both have some dispute on a little part of the land and its ownership. Haji after hearing the stuff advised him to not to do that. As filling up the lake will make it narrower. And if that will be continued, there will not be enough size of the lake and it was not even possible to drive into the water as well. Before many years the size of the lake was really considerable. But during the British Rule when the rulers found this heaven on the Earth the best place to live. They started possessing properties there. Which lead the king of Kashmir then to declare a rule stating that only the locales can purchase land in the state. The British however found a loop hole and they have started building floating house on the water, known as house boat. They were making a big boat and prepares a house on that. This way they were having a house and they were not grabbing any land. With the floating houses there came the concept of floating farms. And people, in order to grab more and more wealth and property started filling in the respective bank of the lake and/or the farm belong to them with more and more land material. So they have bigger farms. But if all the farms are growing this way, the lake would shrunk of course. It is said that the original lake was three or four times than it is seen today. It is a big problem for the Kashmiri people. As most of their income is based on the gardens of Apple, tourism and some other stuffs only. Having a low peripheral of the lake means it can serve comparatively less number of visitors and hence a drop in the income. In addition of course it damages the natural beauty and environmental balance. The damage done in this area is naturally bigger than we can count. There is one more problem, the people building homes on the fill found a way to dispose the daily waste. They dump all the stuff via a pipe line into the lake. It makes the lake a place like a dumping ground with unhealthy surroundings. All the native Kashmiris who are intelligent and wise are definitely consider this as the major problem so does Haji Khalik. The conversation between Haji and the king (who stayed at his houseboat) is really good. Not only the dialogs are simply and witty but also they speak the truth and the heart of a real Kashmiri who worry about Kashmir. 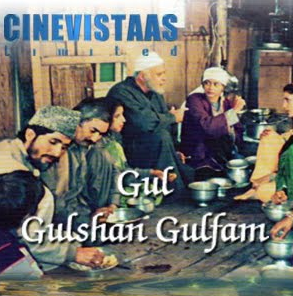 So, this is the episode in the TV Serial, which lead the serial’s focus on the one of the major issues in Kashmir. Now the background is all setup, people are familiar with Kashmir, the life style of the people living there and the culture and surroundings. It is the best time to represent them the problem the people face there. In terms of writing, this is a wise and good move. If to talk about aspects, dialogs are excellent in this episode and it is one of the most positive attributes of the same. In terms of acting Parikshit Sahni as a well thought Kashmiri worrying for the fate of the lake and future, gives excellent performance. So does Ratha Seth as the typical housewife and a mother. Rest of the characters plays their part too. A teasing incident between the brother and sister shows the little yet important stuff about bond between the siblings. A well thought, well written and well directed episode. If the acting of some under-performing actors were up to the mark then it could have been better. It is a good watch and one thoughtful fellow should not have to miss it; as per our personal opinion.